Drawing on a stockpile of hand-made and found objects, Allison Wade constructs tenuous sculptures of unexpected material juxtapositions. The work relies heavily on balance and tension, and there’s a strong focus on where and how elements meet. 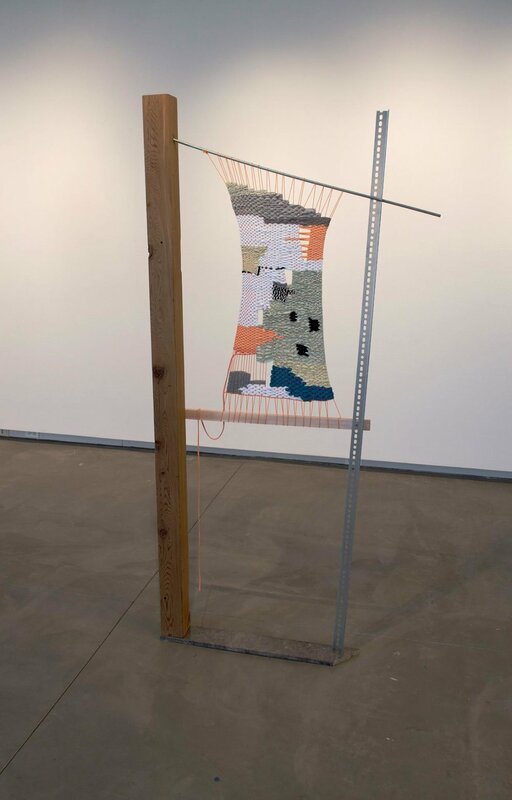 The new work in you and you and you further explores structural contingencies and the intersection between two and three dimensions through the process of weaving. The following questions frame Wade’s investigation: How, like drawing, can weaving be nimble and deliberate, spontaneous and calculated? Can a loom be a sculpture, both supporting and supported by a weaving? How flat must an object be before it becomes two-dimensional? The resulting work exploits the intersection between flatness and form, revealing its own intuitive logic while inviting interpretation. Allison Wade is a visual artist working primarily in drawing and sculpture. She received her MFA from the School of the Art Institute of Chicago and holds a BA in English literature from Stanford University. Recent solo exhibitions include Drunken Geometry (in collaboration with Leslie Baum) at devening projects + editions in Chicago and Thin Troubles at Ditch Projects in Springfield, Oregon. 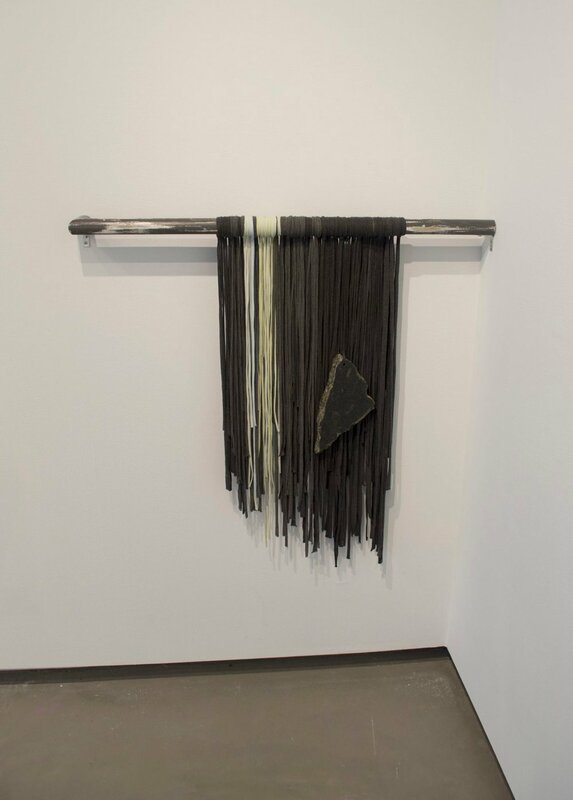 Wade has been awarded residencies at Ox-Bow, ACRE, Mustarinda (Finland), and the Vermont Studio Center and has been a visiting artist at Miami University, Rhodes College, the Cranbrook Academy of Art’s Ceramics Department, and the School of the Art Institute of Chicago’s Interlink program. She lives and works in Chicago, where she is a Lecturer in the Department of Art Theory & Practice at Northwestern University. Wade is represented by devening projects + editions in Chicago.